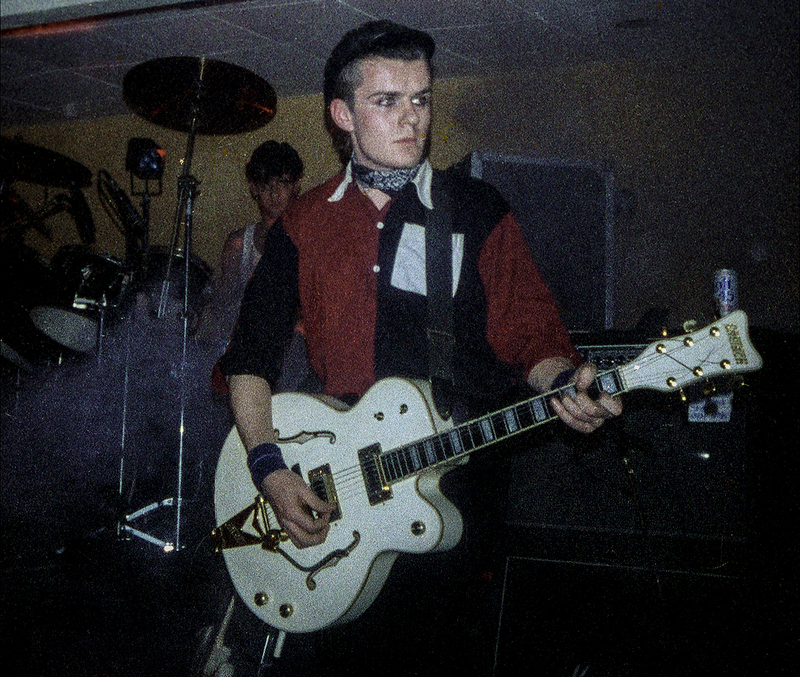 “This shot from the Death Cult show at Redcar Coatham Bowl on 20th November 1983 is interesting as most from that period feature my favoured ‘Apocalypse Now’ look with beret and tiger stripe style fatigues but not sure what I was thinking for this one!!! The leather cap… guy liner and as for that shirt… that’s a crime right there!! !